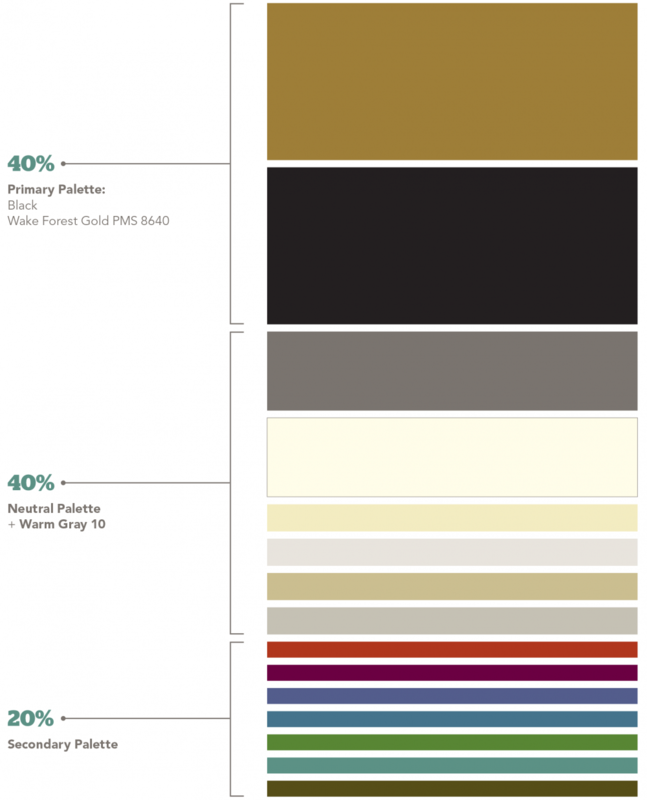 The School of Business color palette is taken directly from the Wake Forest University master brand guidelines. While all colors from the brand palette can be used, we place a heavy emphasis on black and gold. These colors represent the tenacity and passion that characterize the School of Business. The more colorful secondary palette is used sparingly as an accent, and the neutral palette provides balance between the two. Please note that Warm Gray 10 has been moved from the secondary palette to the neutral palette for the School of Business sub-brand. For detailed color information, visit identitystandards.wfu.edu. Always reproduce colors using the formulas specified in this guide.